When most people hear the word “remodeling,” they automatically think of doing something inside the home. That makes sense, but you can also use remodeling services to create Arizona outdoor living spaces that you can enjoy all year round. Maybe your yard isn’t what it used to be, or you had a vision for it that just never quite got off the ground. No matter what you want to do in your yard, you can get a remodeling company that will help you create a beautiful outdoor space. 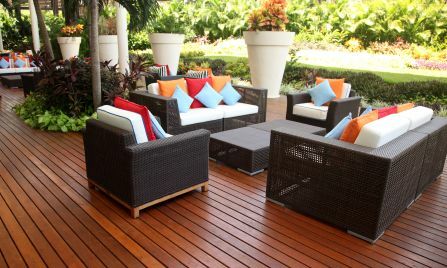 Your outdoor living space should do more than just look great – you’ll also want to have something that’s functional. Before you get started on your project or find someone to do it for you, it’s important to have a good idea of what you want in your space. How you’re using that space will affect the way it’s designed, what you have in it, and how much it costs. While you don’t want to cut corners, you’ll want to be realistic and practical about the space, too. Cost matters; it’s a fact of life for the majority of people. While it would be nice to create an outdoor living space where money was no object, you probably have a budget you need to stick to. Just be sure that your remodeler understands your budget and is willing to work within it. Only you know what you’re comfortable spending on your outdoor living space, and a good remodeling company won’t try to talk you into spending more. You want someone you can trust with your finances and with your space. If you need to shop around and get estimates, that certainly makes sense, but don’t overlook the fact that the lowest price doesn’t always mean the best deal. You want value for your money, and that means getting the best quality and most options for the price you’re paying. The right company will work with you to ensure the best outdoor living space possible.